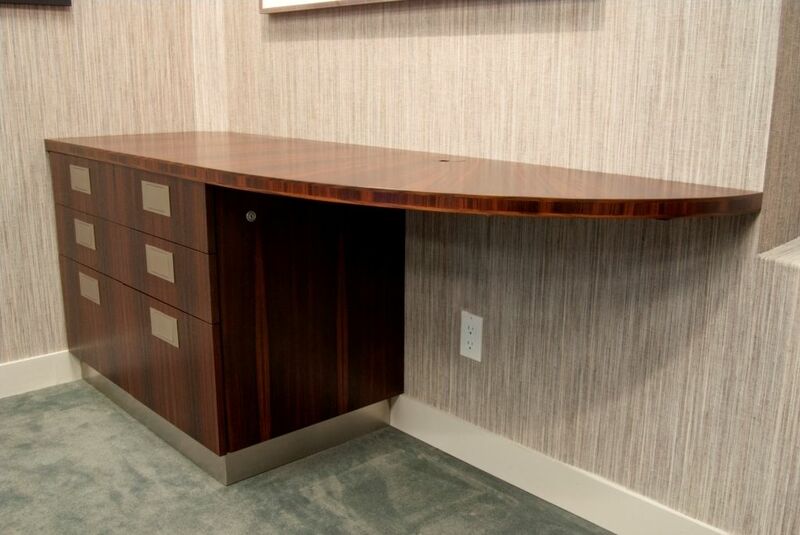 This credenza is an example of some custom furniture that was build for an executive office, for a client by the name of JLT. 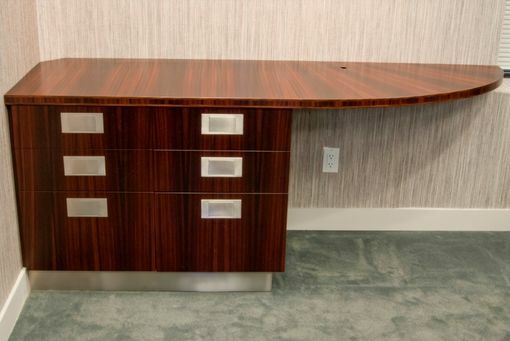 This credenza measures 688" x 21" x 30" high, with two banks of 3 locking drawers at one end. 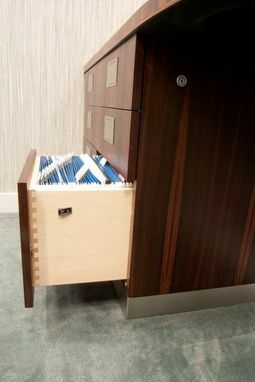 The top is cantilevered off the drawer pedestal, and supported at the back with a hidden cleat. and there's an inlaid grommet to provide access to the wall outlet located below. The story behind the creation of this desk is explained in greater detail in a series of blog posts.